Two years ago Daimler launched the first ComfortClass 500 coaches. The three initial models were the 12.3m long S515HD, the 13.1m S516HD and the 13.9m S517HD, all of which are 3.77m high. 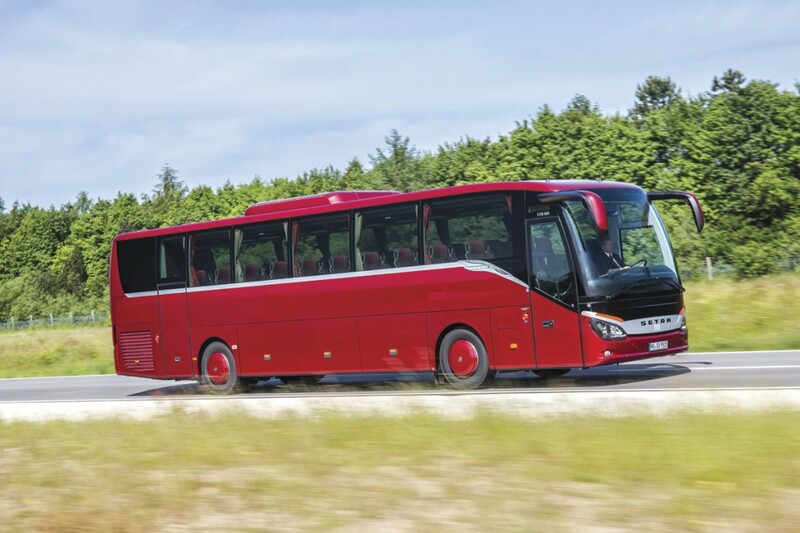 The S515HD was subsequently voted the Coach of the Year 2014 following the 2013 CoachEuroTest held at Ybbs in Austria. 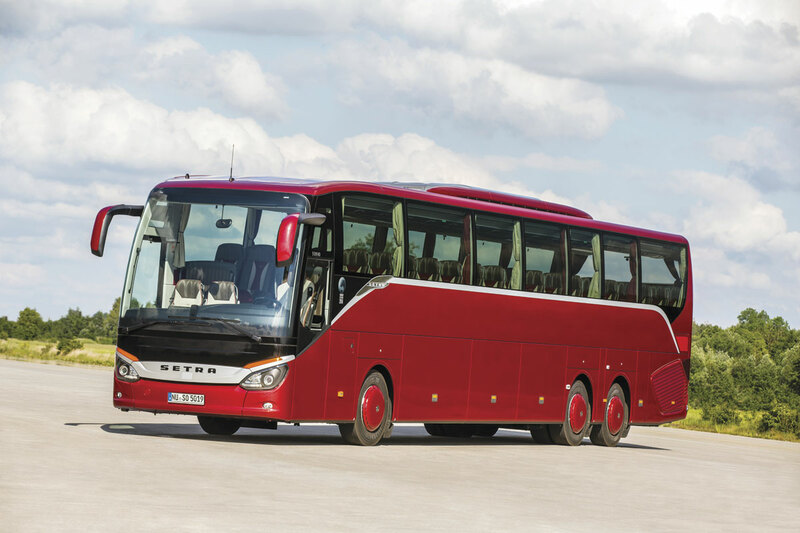 Completing the HD line up are two new models which will make their debuts at the IAA Show in Hanover later this year. 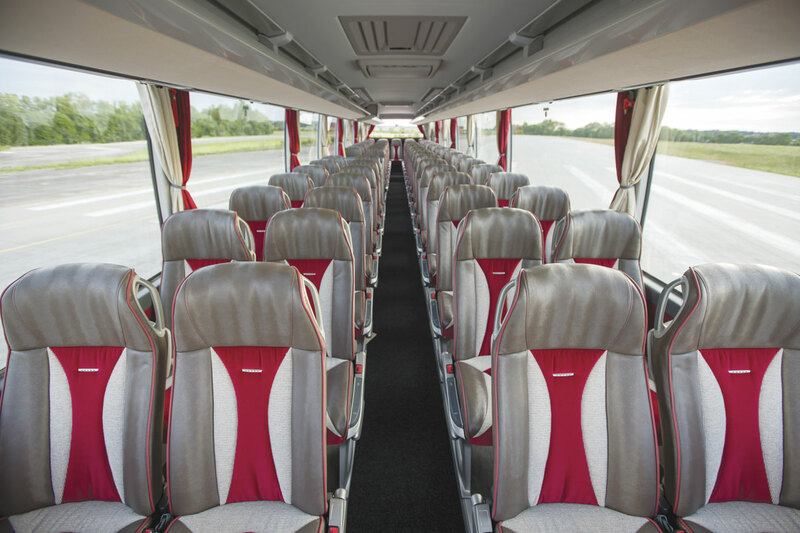 Aimed at the long distance market, the 15m long S519HD is mounted on three axles and offers a maximum of 71 seats. 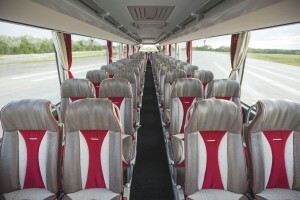 In contrast, the 10.5m S511HD, which replaces the TopClass S411HD, is designed with smaller touring groups in mind. 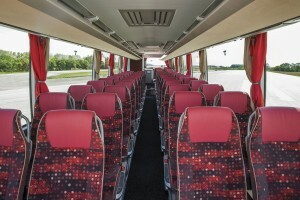 It offers a number of features not available on its predecessor including an automated manual transmission and a rear door and can be supplied as a club coach with a lounge area at the rear. 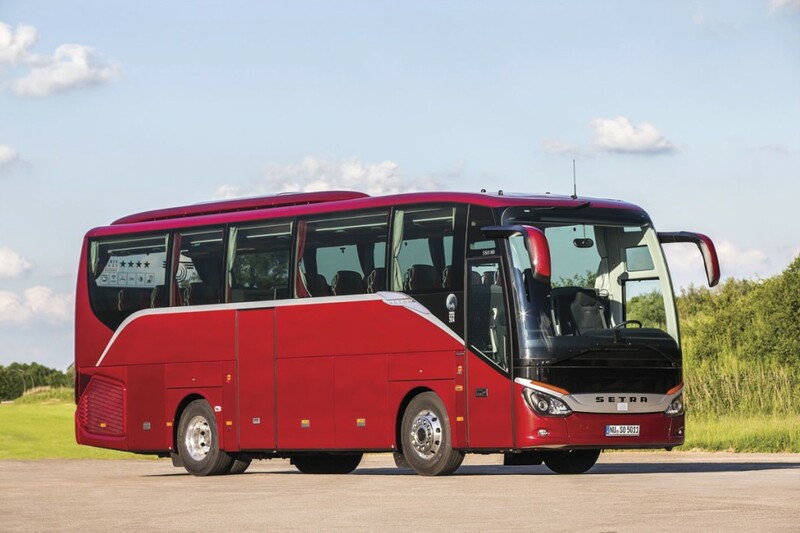 While the first two extensions to the range might have been predicted, the second two are rather more surprising as they introduce a new lower overall height of 3.56m to the ComfortClass range. 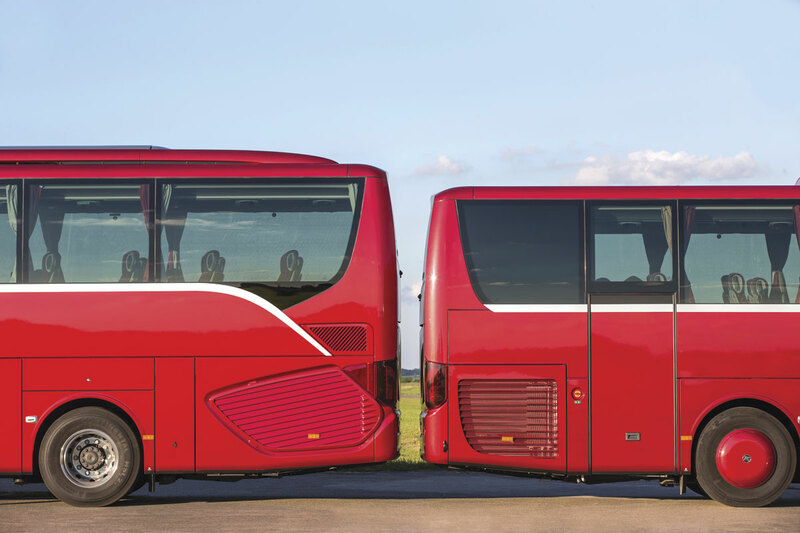 It was explained that the new 12.3m long S515MD and the 13.1m S516MD, both of which are mounted on two axles, are designed to enable a new lower cost and more flexible entry to the Setra family for operators, or, as the company puts it, ‘they represent an alternative for all those bus operators who refuse to forgo the proven Setra standard of comfort’. 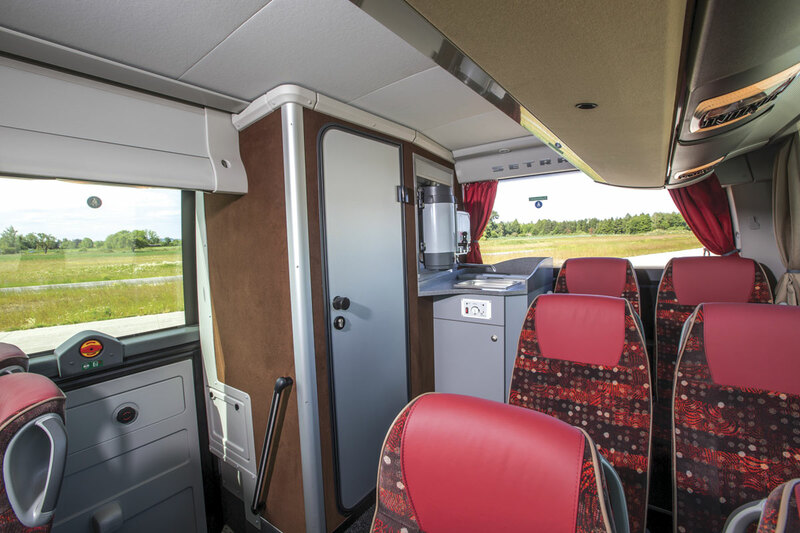 The reduced height does not compromise the passenger compartment which has the same 2.1m headroom as the other models, though there is less luggage space. 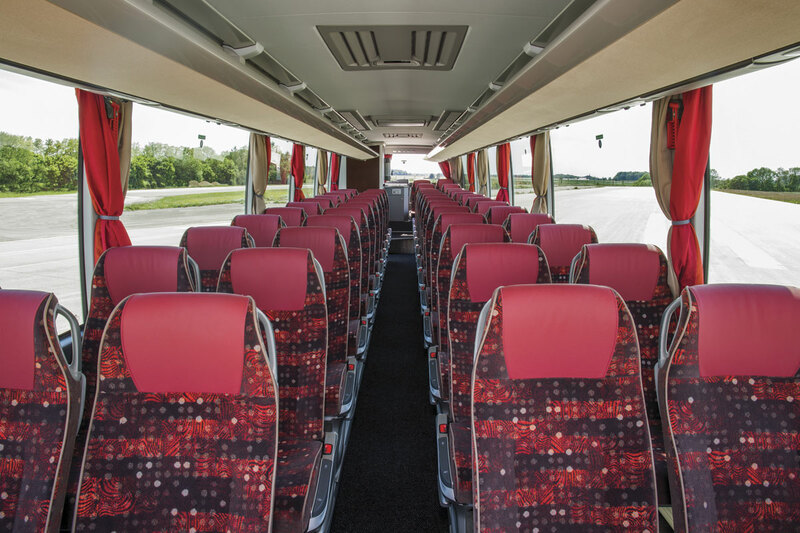 All interior options available on the ComfortClass HD can optionally also be specified on the MD. In both versions of the MD, the engine used is the 7.7-litre OM936 six-cylinder unit rated at 354hp (260kW). With the reduced height, an improved fuel consumption figure would be expected, the taller model having already demonstrated a fuel saving of 8.2% compared with its predecessors in independently verified on-road tests. 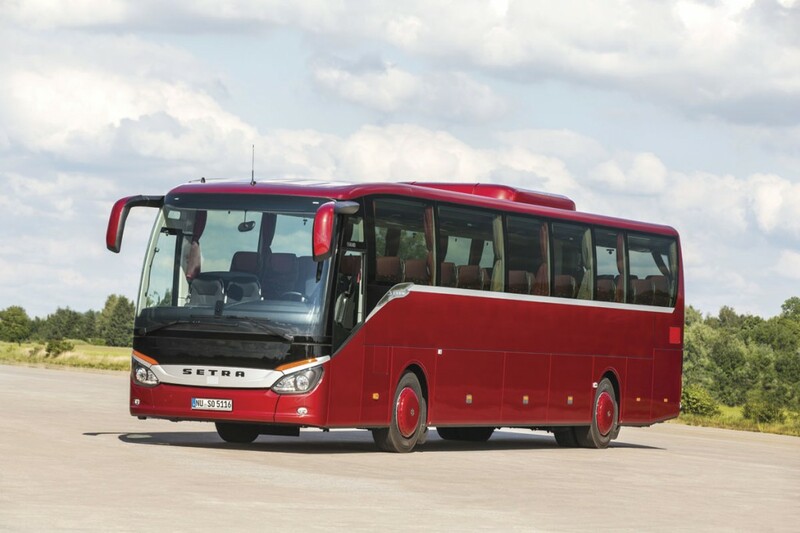 Although the ComfortClass MD is Setra’s new entry level coach option, the safety equipment available is to exactly the same standard as on the rest of the range, including: Adaptive Cruise Control, Lane Assistant, Continuous Braking Limiter, Electronic Stability Program (ESP) and Front Collision Guard (FCG).